If you're looking for a quality great value plasterer in Kingston Upon Thames you've come to the right place. We're a highly qualified professional plastering business with over 30 years experience. We're based in Surrey and have completed many domestic and commercial plastering jobs in the Kingston area. We take a lot of pride in the quality of the work we deliver. From your initial enquiry to our after-sales support we aim to maintain the same high-quality standards while still pricing our plasterer jobs very competitively. 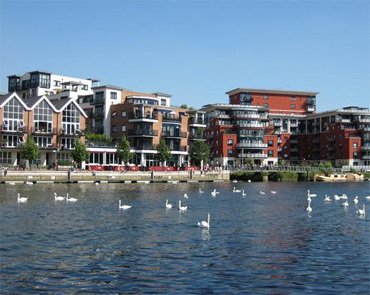 This ensures our customers in Kingston Upon Thames get great value for money. We are fully insured and hold a BBA (British Board of Agrément) certificate. Our plastering work is also fully guaranteed and we apply a clean & tidy work ethic. As reputable plasters we also follow very strict health and safety guidelines, providing full risk assessments if relevant to the job. The list above is actually only a sub-set of the jobs we can do in Kingston Upon Thames as plasterers and builders. In fact we feel there's no plastering job too small or too big for us. The easiest way to understand how we can help is to quickly 'contact' the Surrey Plastering Man. Myself, Trevor, will be personally dealing with all your enquiries. I'll also undertake and manage any plasterer jobs myself from start to finish. For larger projects I may use other locally based fully qualified plasterers and builders with whom I've worked on many other projects before. I.e. you won't be dealing with a central booking service who hand over your job to someone else. You'll always be dealing with myself. As such I believe that we're a small enough plasterers business to give you a personal service and to care, while still delivering any size of project in Kingston to the highest quality standards and to strict deadlines. No two plastering jobs are the same and the only way I can provide you with a free no obligation quote is for you to quickly explain the job to me. For some smaller plastering jobs I can often provide you with a quote straight away. For larger or more difficult jobs it's normally best that I come and visit your place or site. As plasterer based in Surrey I'm very flexible on when I can do this. I.e. I don't keep to 9 to 5 hours and can visit you in Kingston Upon Thames over week-end days as well if that's more convenient for you. All our quotes are fully inclusive and include the cost of the materials as well. As experienced Kingston plasterers I feel we're able to provide you with a competitive quote without cutting corners or impacting the quality of the plastering work we deliver. 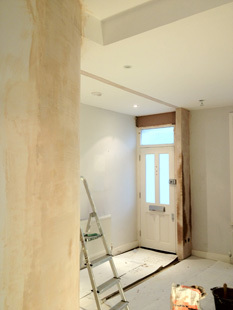 We can provide you with references of previous plasterer work we completed as well.